So I got an Xbox One X on Friday, and I won’t tell you how I managed to afford it except to say that—contrary to all rumors—getting $300 in store credit from Game Stop does NOT involve selling them a kidney. Just all your gold fillings. So was it worth all the impromptu in-store dentistry (and concomitant significant lingering dental pain)? It depends on your definition of “worth it”. 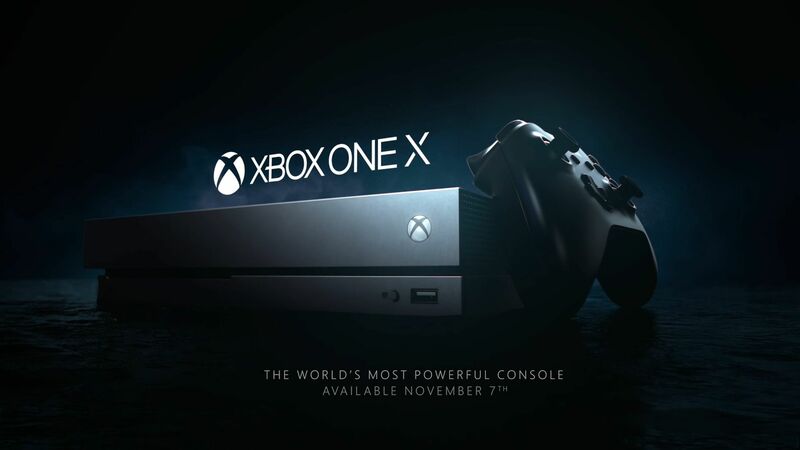 The XBOX (that is, the Xbox One X) is wholly and entirely a significant graphics upgrade over its immediate predecessor. To an astounding level, frankly. It makes all the games I tested run noticeably smoother, including Crimson Skies: High Road to Revenge (through Xbox Backwards Compatibility), Fallout: New Vegas (360 BC), and Skyrim (XB1 native), among several others. The superior XBOX hardware can’t make any of these games LOOK better, but they all benefitfrom the higher framerates, which makes for a much smoother gameplay experience (not to mention no tearing, no skipping, and no framerate drops. Though tearing has been virtually unknown on the Xbox platform anyway, at least since the early days of the 360.) According to Microsoft, the XBOX can run most current titles in 1080p at 60 frames per second. Based on my entirely subjective testing I saw no reason to doubt it. Speaking of unnecessary 4k graphics updates, some games were graphically upgraded to take advantage of all the raw, seething graphics power lurking under the hood of the XBOX console. Out of the 160 titles installed on my external HDD, fully 17 of them had been so blessed. In addition to the usual suspects—Gears of War 4, Titanfall 2, Forza Motorsports 7—there were two title upgrades that caught me completely off guard: The Elder Scrolls IV: Oblivion and Fallout 3. Both games are elderly (Oblivion from 2006, Fallout 3 from 2008), to the point that, were they people, they’d be eligible for retirement, a gold watch, and a regular check from Social Security. (In contrast, were it a person, Final Fantasy 6 wouldn’t even be alive any more. As recent ports and remakes have proven, it’s clearly some form of undead.) Yet there Oblivion and Fallout 3 were, getting a full 4k graphics overhaul along with the rest of their more spritely brethren. In both cases, the upgrade (and graphics horsepower of the console) made a noticeable difference. I tested both Fallout 3 and Fallout: New Vegas on the XBOX. (Both are built on the same engine, and both run through 360 back compat, so it’s a fair comparison.) Fallout 3, the updated title, ran buttery smooth. Distant objects (seen through a sniper scope) were much clearer than in New Vegas, controls seemed more responsive, and there was a near-total lack of “jaggies” (pixellated edges of objects). It was superior to New Vegas in every way. (As regards graphics. About the gameplay and story, I make no promises.) The only thing I found dissatisfying about the Fallout/Fallout test was that Bethesda had excluded everyone’s favorite tale of the Mojave Wasteland from their elderly game renovation program. It’s bitterly disappointing. YOU SHOULD GET ON THAT RIGHT NOW GUYS, OKAY? Last, my (subjective) testing showed that loading times have been reduced drastically. XB1 loading times were HORRENDOUS, a result of them opting for a cheapo 5400 RPM internal drive (with a tiny capacity to boot). Shortly after buying my XB1, I invested in an external 6 TB 7200 RPM USB 3.0 Toshiba HDD, installing all my games to it rather than the stock drive. (3.2 TB and counting!) The external was MUCH faster than the internal in every single instance. The XBOX is a beefy machine, the current top-of-the-line console, and it supports 4k gaming and 4k Blu-Rays. (Plus, any game that runs on the XB1 will run on the XBOX.) Honestly, neither the hardware nor the game catalogue is sufficient to lure away most PS4 stalwarts, but if you’re looking to replace your XB1 (as I was), the XBOX is a no-brainer upgrade. Even if you have to sell Game Stop all your gold fillings. …Eh, I thought I was done with consoles but I might have to think about this one just so I can have the original Xbox backwards compatibility (since a PC emulator doesn’t look to be happening quite yet) and the Bluray functionality doesn’t hurt since my original DVD player refuses to gracefully pass away. You know, it’s a bit like dispatches from bizarro world. Yeah, sounds like fun, I guess. You’ve pretty much convinced me. One thing though, what would be the reason for me not to buy a 4K tv? 4K a boondoggle? I must vehemently disagree. The cost at the lower end, where HDR is lacking, is quite affordable. The 43″ model I got in October cost $100 less than I spent for a 40″ 1080p screen a few years earlier and had many additional features beyond the resolution, such as Roku streaming, and a far better menu with customizable labels for the full set of inputs. Right now, to get the full benefits of HDR, you need to have the space for a 50″ or larger model and spend at least $500. (Some lower end models currently claiming HDR simply lack the necessary hardware aka they’re lying.) Compared to what I’ve spent on TVs in the past, that is a trivial amount for the quality. I got the One X on launch day and it was fairly easy to manage a discount. GameStop gift cards regularly are sold by PayPal on Ebay for a 10% discount. On top of this, people who pre-ordered were offered a higher than normal trade-in price on an earlier Xbox One model. Final cost on the One X was about $350 including tax, which is pretty high in Los Angeles County. So that worked out well.